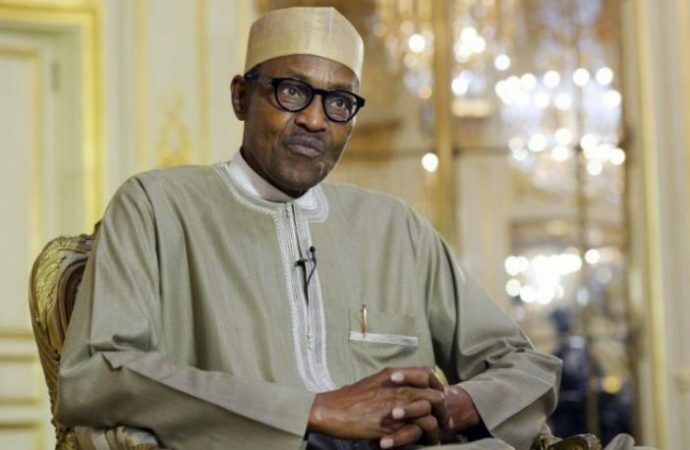 President Muhammadu Buhari on Sunday condemned the ballistic missile launched by Houthi militias targeting the holy city of Makkah in Saudi Arabia. The Nigerian leader spoke with King Salman bin Abdulaziz Al Saud of Saudi Arabia on Sunday to express Nigeria’s solidarity with the Kingdom in the aftermath of the missile launch. Condemning what he called a ‘heinous act’ which targeted innocent people, President Buhari said it was reprehensible and ignoble for terrorists to target a holy land, where millions of Muslims from around the globe gather for pilgrimage. The President expressed delight and appreciation to Almighty Allah that the Saudi defence forces intercepted and downed the missile 65 km from the holy city of Makkah. In the telephone conversation with King Salman, President Buhari reiterated the need to strengthen international support and coalition in the fight against terrorism and violent extremism, noting that when the world stands together, there is no way good would not prevail over evil. Saudi Arabia had on October 28 allegedly intercepted a ballistic missile launched from Houthi-controlled territory in Yemen towards Islam’s holiest city of Makkah, according to a Saudi state media report. According to the Saudi-led coalition, Houthi rebels launched a Scud missile from Saada province towards Mecca at 21:00 local time (18:00 GMT) on Thursday. The Saudi air defense system was able to intercept and destroy the missile 65 kilometers (40 miles) from the target site. Saudi authorities said the missile caused no damage. It is the second time that President Buhari is expressing solidarity with the arab nation in the last four months. In July, the Nigerian leader condemned the suicide bombing in Madinah, which occurred on Monday in Islam’s second holiest city. Condoling with Saudi authorities over the reprehensible attack, President Buhari said that the development was a desecration of all that was sacred and holy, as it took place near the Prophet’s Mosque, and on one of the holy days of Ramadan. “The merchants of evil have once again shown that there is nothing religious in their mindless acts, by striking near the Prophet’s Mosque. It validates the claim that terrorism really has nothing to do with Islam. Purveyors of terror are simply agents of the devil,” President Buhari said.